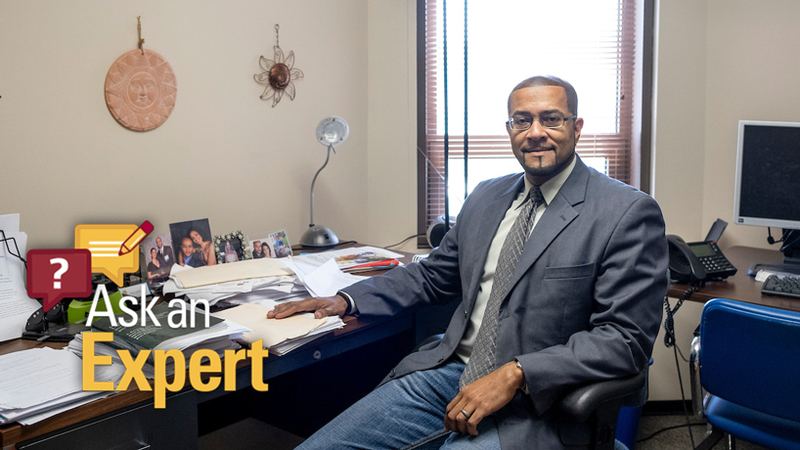 The 2017-18 season was another historic one for University of Missouri–St. Louis Athletics, with the women’s tennis team reaching new heights, five teams qualifying for the NCAA Division II Tournament in their respective sports and a record number of student-athletes being named to the conference All-Academic team. Tritons teams posted a combined .629 win percentage for the year, 24 athletes earned All-GLVC honors, and 11 were named to all-region teams. Here are some of the highlights from the year in Tritons Athletics. 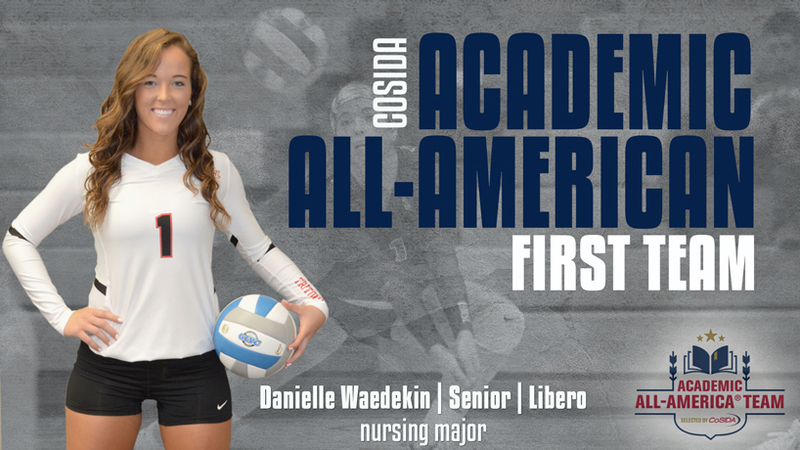 Senior Danielle Waedekin was the volleyball program’s first Academic All-American. The nursing major held a 4.0 GPA. UMSL placed 120 of its nearly 200 student-athletes among the GLVC Academic All-Conference honorees, improving on the record 101 Tritons who made the grade in 2016-17. Baseball (19) had the most players on the list, which honored conference student-athletes with a GPA of 3.30 or higher, while women’s golf and tennis saw their entire rosters included. UMSL student-athletes combined for a 3.3 GPA in both fall 2017 and spring 2018. In December, volleyball senior Danielle Waedekin became the program’s first player – and only the sixth in UMSL history – to earn Academic All-America recognition. 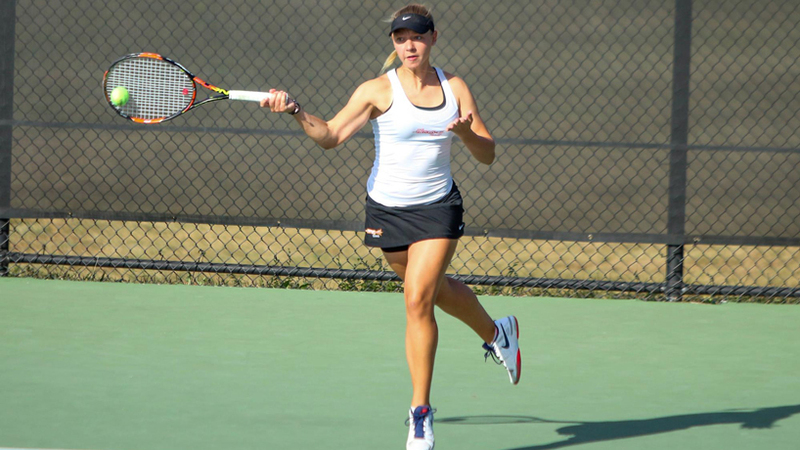 Junior Salome Bleuler posted a 22-9 overall singles record – including a 13-5 record at the No. 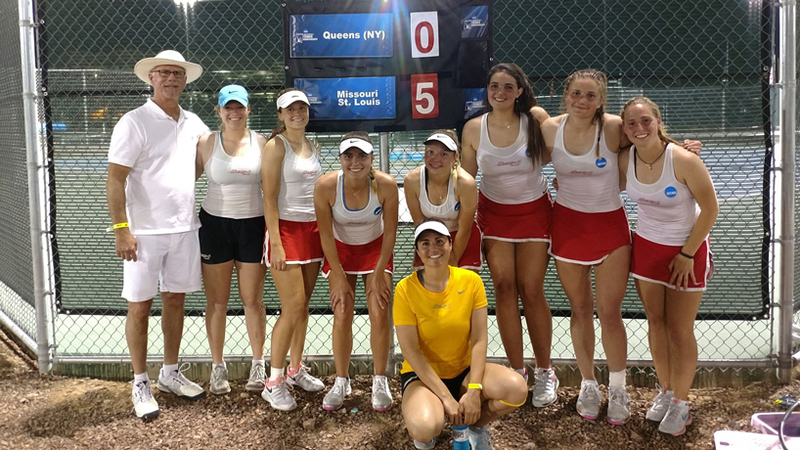 1 spot – for the Tritons women’s tennis team. After qualifying for the NCAA Tournament for only the third time in program history, the Tritons women’s tennis team expanded on that success by beating Hillsdale, Grand Valley State and Queens to earn its first-ever spot in the national quarterfinals. Sophomore Marina Prediger (23-8), junior Salome Bleuler (22-9) and senior Annie Hays (21-10) all posted more than 20 singles wins on the season for UMSL, which finished with a 17-6 overall record and a No. 22 national ranking. The men’s tennis team posted a 12-5 record and earned a berth in the NCAA Tournament before bowing out in the first round to 10th-ranked Indianapolis. Sophomore Ben-Hur Kasprzak (17-5) and freshman Vitor Monteiro (14-7) led the Tritons men. The women’s golf team placed sixth at the NCAA Division II Championships, the best finish in program history. 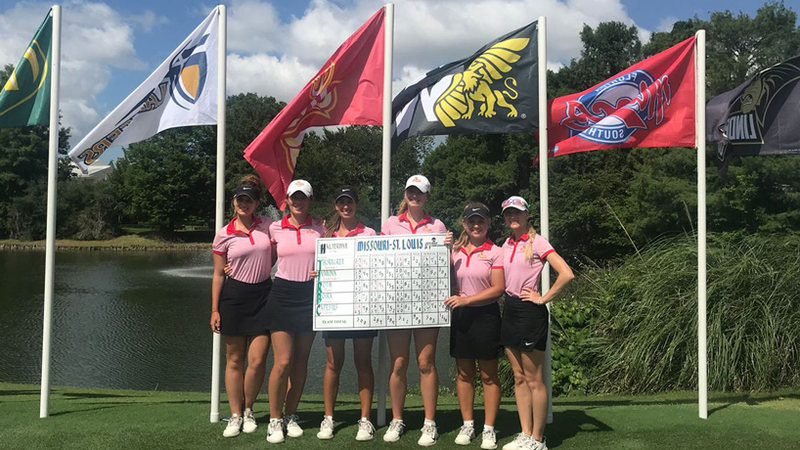 Led by sophomore Emma Thorngren’s fifth-place individual finish, the UMSL women’s golf team placed sixth at the NCAA Championships, its best result in program history. Thorngren earned honorable mention All-America recognition for the second straight season, and she and senior Stefaniya Ivanova were both members of the All-East Region team. 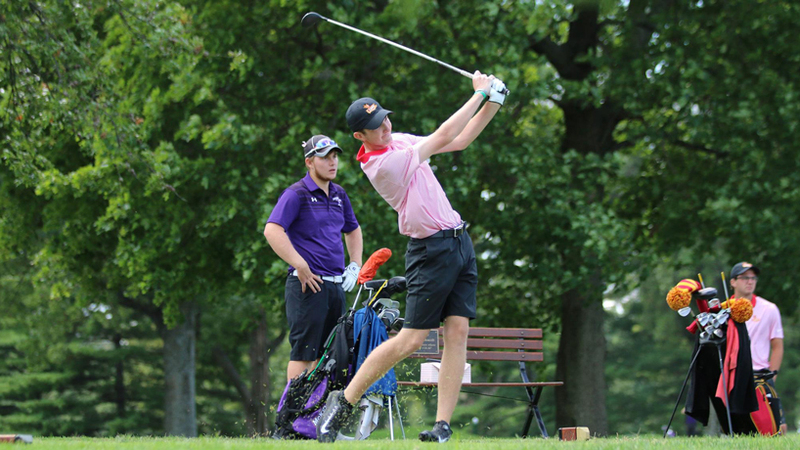 The men’s golf team also advanced to the NCAA Championships, placing 13th overall behind a 36th-place performance from sophomore Chris Ferris. Both golf teams secured big points in the national Learfield Directors’ Cup standings, helping the Tritons to a best-ever, 52nd-place finish out of 305 Division II programs. UMSL finished sixth out of 15 GLVC schools in the standings, despite having the fewest number of athletic teams in the conference. 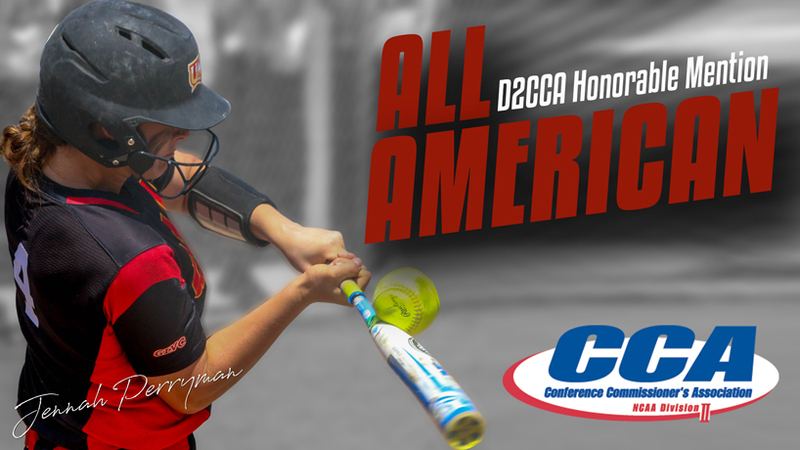 Senior Jennah Perryman was an honorable mention All-American for the softball team, which finished with a 35-24 record. Softball finished runner-up in the GLVC Tournament and qualified for the NCAA Tournament field for the sixth straight season, posting a 35-24 record. Senior Jennah Perryman was named an honorable mention All-American, finishing the year with a .327 batting average, 13 home runs and 53 RBI. Two swimmers – sophomores Patryk Golinski and Merel Visser – earned All-America honors by each finishing in 16th place at the NCAA Championships, Visser in the women’s 1,000-yard freestyle and Golinski in the men’s 1,650-yard freestyle. Visser was the first All-American from the women’s program, and Golinski was the men’s first since 1993. The women’s basketball team finished 21-6, with a .778 win percentage that was its best since the program’s first season in 1974-75. Senior Jordan Fletcher led the Tritons with 16.4 points and 6.9 rebounds per game, and junior Arielle Jackson added 15.5 points and 3.1 assists per game.